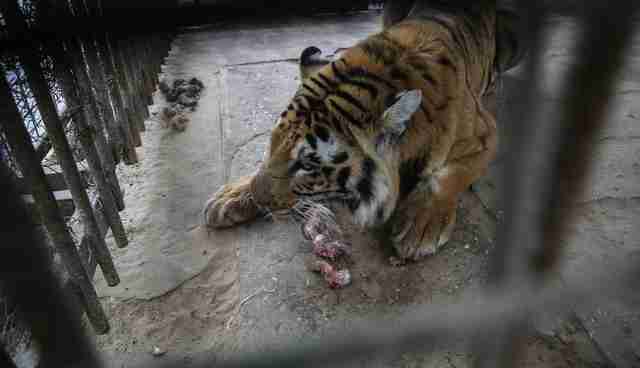 There's just one tiger left at the zoo in Khan Younis, a city in war-torn Gaza. His name is Laziz. During the last few weeks he witnessed the other tigers starve to death as food supplies diminished. Thankfully, rescue workers are stepping in to pull the surviving animals from the brink of death. And Laziz is not alone. Leopards, foxes, apes and birds are there with him, desperate for help. 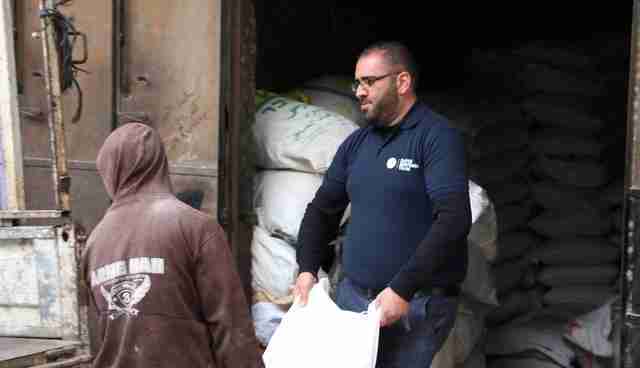 Four Paws International organized a large shipment of food from Jordan to the zoo, which will help the 40 animals left there. 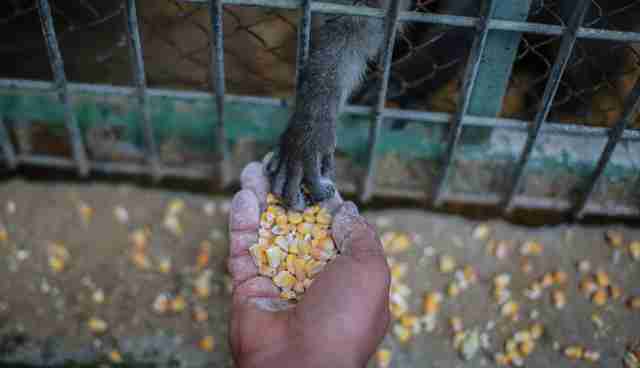 "Even though the situation in Khan Younis Zoo is terrible, we are at least happy that we have been able to give the animals sufficient food," Four Paws International wrote on Facebook. The organization was also granted access to the zoo last spring. "The situation has worsened since our last mission in April 2015," Dr. Amir Khalil said in a press release. "According to estimates, there were still 40 big cats in the summer of 2015. Now, it is said that there are only 15 left." 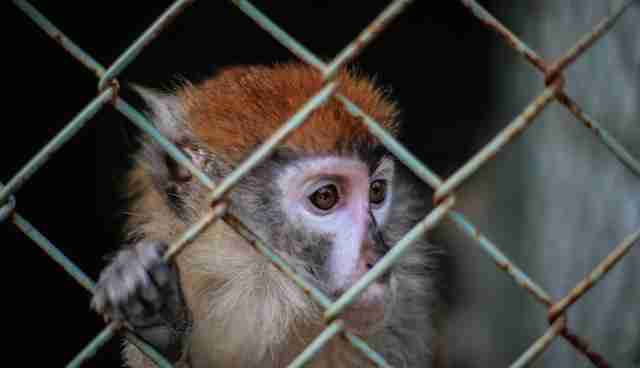 Because of bad weather and ongoing conflict, there have been no visitors at Khan Younis Zoo, which means that the privately kept zoo does not have any income. And it isn't the first time the animals - thought to have been smuggled from Egypt to Gaza via underground tunnels - have suffered. 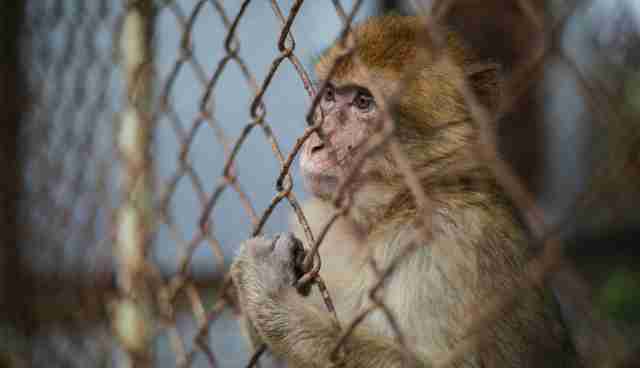 Since it opened in 2007, the animals have been largely unseen victims of severe neglect. Because of instability and conflict over the years, the zoo has sometimes gone unvisited for weeks at a time. Owner Mohammad Awaida has been known to mummify the bodies of some of the animals who have finally succumbed. 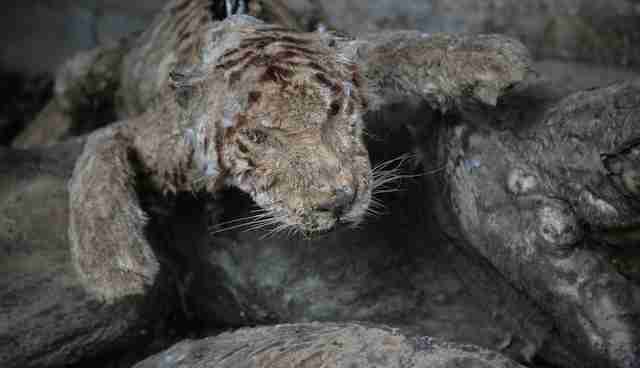 "The idea to mummify animals started after the Gaza war because a number of animals like the lion, the tiger, monkeys and crocodiles died," Awaida told the Associated Press in 2012. Despite being small - just about 28 square miles - the war-torn area is home to six zoos, according to Four Paws. The organization is working on formulating a longer-term solution for the suffering animals in Gaza, while also trying to provide urgent care to the starving and sick animals. And rescue work doesn't stop at the Khan Younis zoo. "The Rafah Zoo, which houses four lions among other animals, has been supplied with food and medicine," Claire LaFrance, a representative for Four Paws, told The Dodo. LaFrance added that this is the first time Four Paws has used a crowdfunding platform to raise money to help with the food delivery and care - and the support so far has helped the animals tremendously. It has already raised $12,000 from animal lovers all over the world. 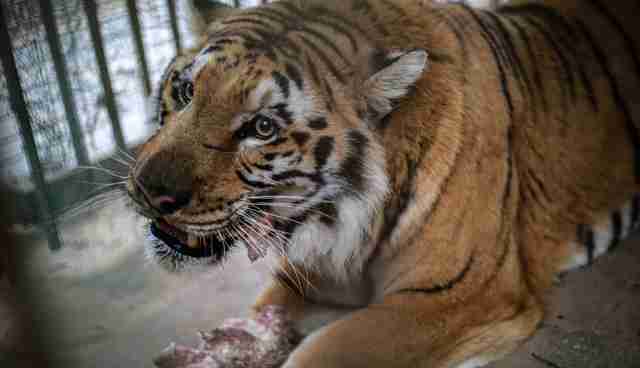 "Due to the overwhelming support that has flowed in, I also got word that it is very likely we can also help a third zoo, the Al Bisan zoo," she said. 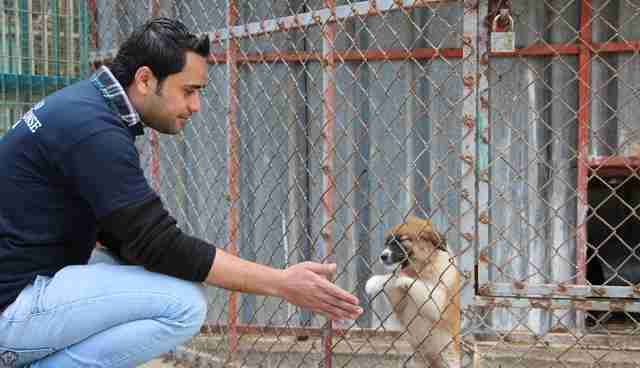 Click here to help Four Paws International on its rescue mission for zoo animals in Gaza.